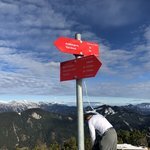 Ljubljana is a fantastic entre into what Slovenia has to offer - incredible food, architecture, history and a reputation for repurposing and reinvention. The city is extremely pedestrian friendly, and that’s by design: a decade ago, the capital closed off its historic Old Town to cars and motorized vehicles. 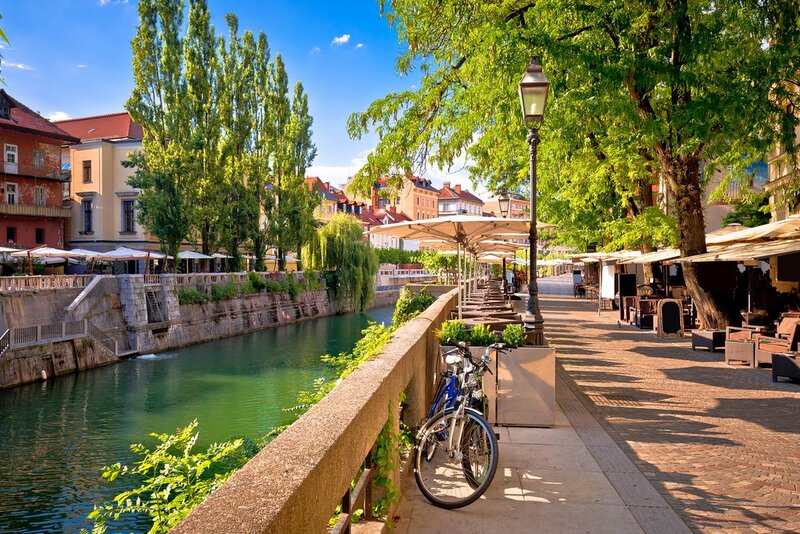 Add to that a healthy bike culture - bike lanes cover the city center and you can rent city bikes from dozens of locations - and it makes sense that Ljubljana continues to win awards for its commitment to being a green city. City bike rental is free for the first hour or you can get a weekly subscription. 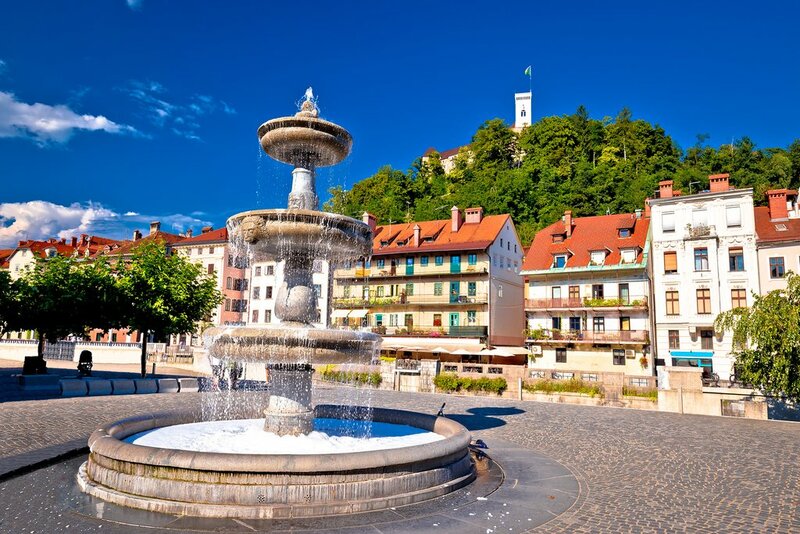 Another great option is to buy the Ljubljana Card, which includes bike rentals and public transportation, entry to museums, and a number of discounts throughout the city. If you find yourself in Old Town and need a break from all the walking, the city offers free services for those who need assistance getting around. Kavalirs (Gentle Helpers) are complementary electric-powered vehicles that travel at low speeds in the pedestrian-only historic city center; you can easily hail them as needed or order one via telephone. Looking for a spectacular way to welcome in the day? 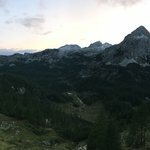 Start your tour of the Slovenian capital before the break of dawn on an epic hot air balloon flight that will take you over the city as the sun crests the Julian Alps. Although the flight is 60-90 minutes, you’ll want to block out four hours of your morning. If you’d rather stay grounded, take advantage of watching the city come alive. Ljubljana is coffee obsessed, so start your morning with a well-crafted cup of joe. Zvezda Café and Cacao Ljublana are both elegant options that boast delicious pastries; the latter also has some of the best ice cream in the city if an affogato’s your thing. After, head to Prešernov Trg, the city's central square. Check out the Prešeren Monument, a bronze statue of Slovenia’s beloved poet France Prešeren, whose poem “A Toast” serves as lyrics to the national anthem. From there, head to the candy-colored Franciscan Church of the Annunciation. If the doors are unlocked, you can see 17th-century architecture, an 18th century alter, and 20th-century contributions by impressionist painter Matej Sternen and beloved architect Jože Plečnik. Make your way across the river to Old Town via the Plečnik’s iconic Triple Bridge. You’ll wander into a scene of cafés, restaurants, and bars that, on Fridays in warm months, gives way to Open Kitchen, a weekly open-air food festival with stalls from the city’s best restaurants and bars. For now, though, pick up a snack (or two) at the Tržnica Na Prostem (Central Market), a phenomenal farmer’s market full of seasonal produce and specialties. Seek out the vending machine that sells fantastic fresh, local milk. Wander inside the riverside covered-portion of the market, designed by Plečnik, for artisan meats and cheeses or head to the fish market below the Plečnik Colonnade for some freshly fried calamari. 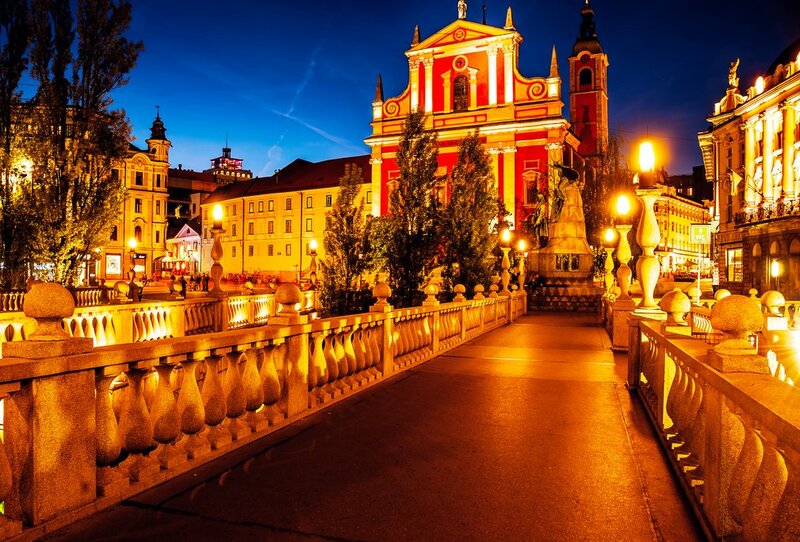 After refueling, stop by the famed Dragon Bridge en route to the medieval Ljubljana Castle; take the ten-minute walk up the hill, ascend via the “urban” electric-powered Tourist Train, or float your way up on the Funicular. Any route rewards you with spectacular views. In addition to the castle grounds, stop into the Chapel of St. George, the Watchtower, and the excellent exhibition on Slovenian history. If you’ve got a flair for the dramatic, the Time Machine Tour is the way to go: costumed guides walk you through centuries of history. Or check out the Museum of Puppetry, where you can learn about Slovenia’s deep history of puppetry and the form’s pioneers before trying your hand at some marionette strings yourself. Before leaving Castle Hill, tuck into one of the restaurants situated inside the complex for a scenic lunch. At Gostalina Na Grau, husband-wife duo Anna Roš and Valter Kramar elevate traditional Slovenian cuisine. You can enjoy a la carte options at lunch, paired with wonderful Slovenian wines. Feeling swankier? Head to Strelec Restaurant at the top of the castle and grab a fur-lined chair on the patio. Strelec offers a more modernist take on local fare, with ingredients sourced from Central Market; the three-course lunch has sumptuous dishes like dandelion ravioli and venison with mountain ash and pine oil. Shake off your food coma with some adventure. Traverse the Ljubljanica River via a guided wooden boat tour or Stand Up Paddleboard (SUP). Or rent a city bike and explore Krakovo and Trnovo, the city’s oldest suburbs; the two neighborhoods are separated by a charming, tiny canal. In Trnovo, view the remains of a well-preserved Roman wall and an ancient house, both situated on the same street. Krakovo is home to Plečnik House, a museum set in the home of Ljubljana's famed architect; hour-long tours of up to five people include time in the gorgeous garden and preserved home, in which Plečnik lived until his death. No matter the season, treat yourself to some green space in the incredible Tivoli Park. In addition to its gardens, walking and biking paths, zoo, playgrounds, and pond, the park features Jakopič Promenade, an outdoor art gallery with rotating large format exhibitions. Duck into the stately 17th century Tivolski Grad (Tivoli Mansion), now home to the International Centre of Graphic Arts. The vast collection focuses on printmaking and features works by modernists like Picasso, Slovenian printmakers like Danilo Jejčič, and contemporary exhibits from cutting-edge artists; there’s even a David Lynch exhibit currently on view. Nearby is Švicarija (The Swiss House), an art gallery and cultural center nestled inside the park’s forest, or head to the south of the park to visit the small but impressive National Museum of Contemporary History, which gives a stellar background on Slovenia and former Yugoslavia. 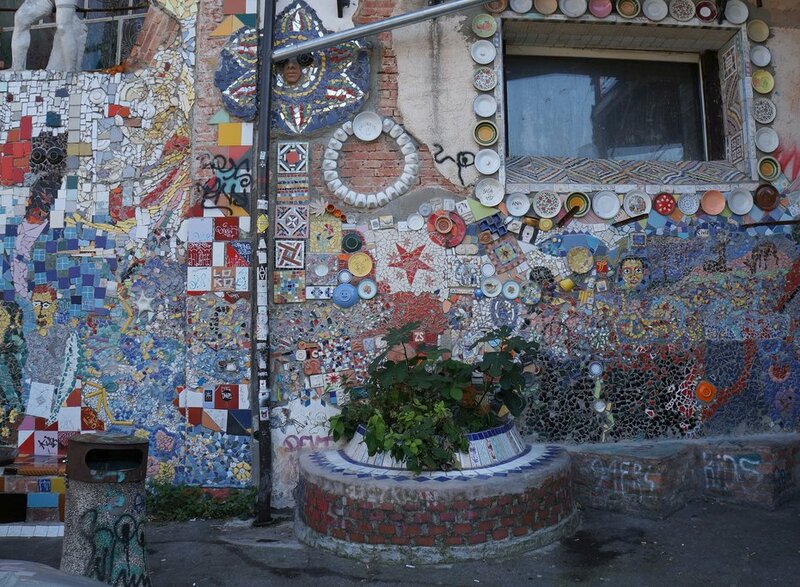 For a bit more culture, hop on a bike or take a quick five-minute cab to Metelkova Mesto, the street art filled mecca of local alternative culture. This autonomous neighborhood sits in 19th Century barracks from the Austro-Hungarian military; a group of artists took over the buildings in the 1990’s and repurposed them into art studios, galleries, nightclubs, and cafés. After grabbing a cheap beer, pop into Alkatraz Gallery for a peek at work by local artists or take a free Graffiti Tour. If you’re still looking for inspiration, take advantage of being in the heart of the Museum Quarter: the Museum of Contemporary Art Metelkova, the Slovenian Ethnographic Museum and the National Museum of Slovenia are easily accessible. Unwind and watch the sunset from the roof terrace of Neboticnik (Skyscraper), where you can take in a full view of the capital and the castle. 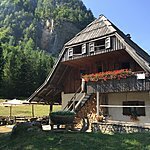 Then head to Sir William’s Pub to sample a variety of local beers or opt for a tasting flight of fantastic Slovenian wines at Wine Bar Suklje, which features 150 varietals and blends from the country’s different wine regions. For dinner, Monstera Bistro elevates seasonal, local produce and touts a “zero waste” approach to cuisine; tuck into braised beef cheeks with black truffle oil, paired with a biodynamic wine or craft beer. For a more global experience, try Skuhna, which offers migrants training and opportunities to ease their transition into the job market; the menu rotates daily and reflects the food of the Global South - think Syrian shawarma and Pakistani curry. Friday nights offer live performances by migrant musicians and a dynamic 5-course dinner. On your way back to your hotel, stop by Kolibri Cocktail Bar for a perfectly crafted nightcap. The skilled bartenders in this sleek watering hole specialize in updating classic drinks and will even mix you a custom cocktail to suit your preferences. After, stroll along the banks of the river and take in the lights of the city as your day draws to a close. Need a fabulous place to stay in Ljubljana? Here are some excellent boutique hotel options. 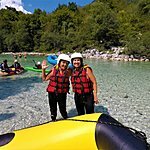 For more authentic fun in Slovenia, add a few local experiences to your itinerary, and consider continuing your journey in these unexpectedly amazing places.